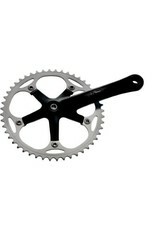 A silver Miche Express crankset 48T 1/8" chainrings 170mm silver or black with silver rings. They take a 107mm JIS taper BB. See my other listing for Shimano UN55 BB in this size. 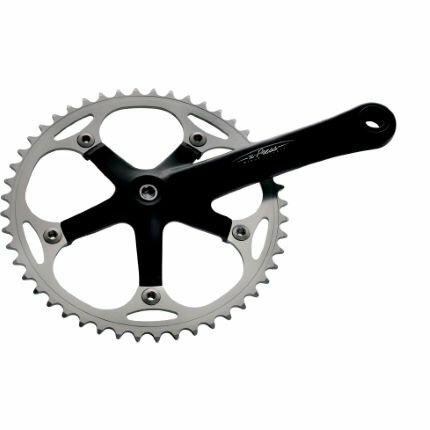 Simple cheap and effective solution for single speed or fixed gear bikes, may be even a budget track build.